Bianca’s Grub Store specialises in beautiful food, made with love. 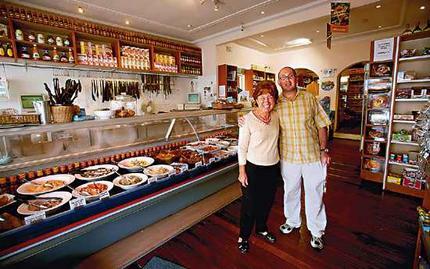 Owner Barry and his partner and mother-in-law, Brenda, a former cookery teacher in Johannesburg, keep the deli counter stocked with traditional and delicious classics such as chopped herring, kichel, fried fish balls, chopped liver, cheese blintzes and some of the best hamantashen and cheesecake in Sydney. Along with bagels, breads and a wide selection of kosher meat, South Africans can stock up on grocery favourites including Five Roses tea, Ouma rusks, Mrs Ball's chutney and, of course, boerewors and biltong.